ExpressVPN is a US based VPN provider renowned for its reliable VPN services. 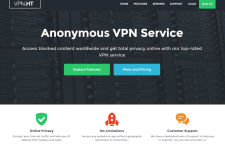 Founded in 2009, the company is an established player in the VPN market and providers fast and affordable VPN services to its customers. 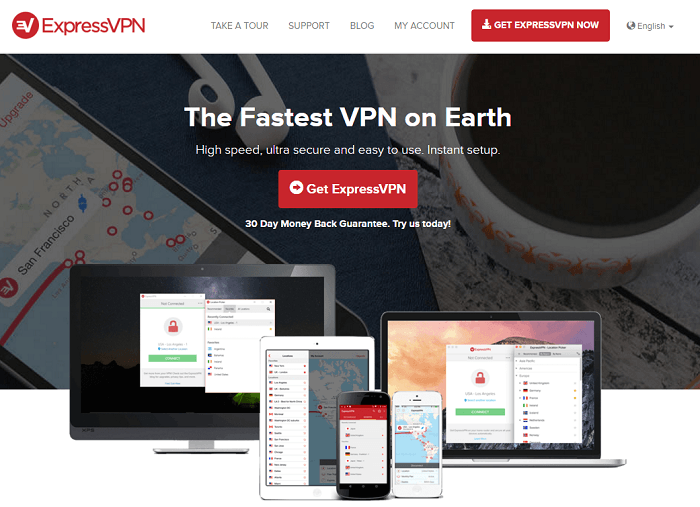 In this detailed ExpressVPN review, we explore the features offered by the company and check out whether the service is worth the money. ExpressVPN has more than 50 servers spread across 21 countries around the world. Apart from major countries like United States (multiple locations), Canada, United Kingdom, Germany, France and Netherlands, the company has servers in most European and Asian countries like Switzerland, Austria, Luxembourg, Finland, Spain, Italy, Sweden, Poland, Portugal, Czech Republic, Ireland, Hong Kong, Singapore, Lithuania and Panama. The great thing about the ExpressVPN service is that you are free to switch servers as many times as you want without paying any additional charges. ExpressVPN provides great speeds without any downtime. There is no speed or bandwidth limit which makes it ideal for downloading big files, uploading content, streaming movies and watching live events. Since ExpressVPN encrypts all its traffic, you may experience slight loss of speed if you have a slow internet connection but in most cases, you would not notice any significant difference in speed. This makes ExpressVPN a great choice for accessing services like Hulu, BBC iPlayer, Netflix, Pandora and other blocked websites. 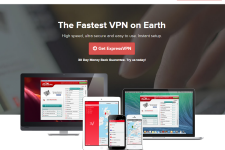 ExpressVPN offers secure browsing without revealing your true IP address. The service encrypts all its traffic so your private and financial details are protected at all times. The company also provides hotspot protection so your private details are safe while using public Wi-Fi connections. The company keeps a record of IP addresses and connection time so it may not be the best choice for sharing illegal files. ExpressVPN supports OpenVPN, L2TP/IPSec and PPTP protocols which makes it ideal for use with most computers and mobile devices. ExpressVPN provides an easy to install VPN client which works well with major operating systems. Once installed, the software makes it really easy to connect to the internet and switch servers. The service also offers a simple auto-configuration installation for iPhone and iPad and a simple app for Android devices. The company also allows you to install the client on multiple devices but only one connection can be used at a time. ExpressVPN provides customer support through a dedicated helpline, ticket system and live chat. The live chat is available only during business hours while the ticket system is available round the clock. 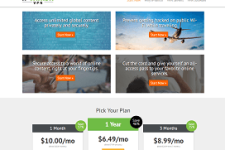 The unlimited VPN plans start from $12.95 a month. You can save as much as 35% if you subscribe to an annual plan or 20% when you subscribe to a 6-month plan. The company doesn’t offer a free trial, however it does offer a 30 day money back guarantee so you can test the service as much as you want and get a refund if you are not happy with it for any reason. 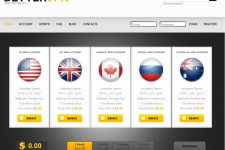 They accept PayPal, Visa, MasterCard, American Express, and Discover credit cards and payment services. I stay connected no matter where I am in the world with expressvpn.biz. And I never have to worry about my privacy because their service is tight. Great product to use. I just paid, and then used its app. App experience was really fast and easy. Express VPN is definitely the site you have to try if you are looking for a VPN. express will help you protect your identity. don’t trust nobody. I just got a boxee box from D-Link and found out the piece of crap does not do anything in areas like Asia. Low and behold, I used expressvpn to settle the issue. Definitely helps solve those issues with regional locking. It’s a great tool that let’s me access video like netflix and MLB baseball overseas! This thing is awesome if you want to have access to your netflix! Definitely worth it as I am living in China, and this gives me a way to do this. Very fast service especially when accessing sites in the US. I am very excited about express vpn, makes things way easier than expected! Express is pretty versatile for a vpn. Works when i use my PC and iPhone. Definitely suggest you try it too! saw this ad from the website here. Definitely worth the try, I think that the service is best so far with express vpn. Fast good and cheap. Good stuff with express vpn! Get the six month offer, definitely worth the price! Definitely seamless performance. Was using skype and talking to my cousin who’s been living in Saudi Arabia. definitely a good site to use. Seems that the server in HK has issues, but mine is fine in China so idk. Definitely like the use, but will try HMA or supervpn next time. Astrill seems to be not bad as well…. Great deal with the discount. Can’t wait to use the unlimited bandwidth to start vid chatting! To CJ, not really sure if there’s any real issue with the server. I also use the netflix, but am not experiencing any real issues. I live in Korea. Experienced some buffer time when using my netflix with express vpn, not sure if anyone else has a similar experience. However, not really sure if it’s because of my own internet connection, which is already pretty slow. New usage policies seem to pop up time to time, but other than that has had a relatively good speed with stability. Definitely a good vpn to use if you just need to do normal actions with your web applications. I’m originally from Michigan, and used to talk with most of my friends over facebook and skype. After I moved to India, I totally lost connection due to regional restrictions. I totally recommend expressvpn for those in the same siutation. service is great, speeds are very fast. An overall great product. This is definitely a better service than most. I will continue to use expressvpn. I looked around a few sites, and they just don’t seem to hold up. Thanks express vpn! Given the experience and use after 3 months, I will have to say that it’s best asset is the customer service. They are friendly and patient, and helped me with the set up. Even though it wasn’t that long, still was a nice touch. Was referred by a co-worker to check out expressvpn after we were having issues accessing certain types of web content. Not a tech guy, but the experience made it pretty easy. Customer service made the initial setup phase very easy for me. I like what they have, hopefully when I renew there won’t be any of the initial fuss since I’m already set up. Expressvpn is very easy and use to set up. Interface is pretty simple and clean. No, real complications with exception of the initial setup. I love Express VPN. It’s fast and very easy to use, which I like the most about the service! Keep up the good work guys! Encryption process is very fast and simple and it works with your Wi-Fi. I found this very useful, thanks expressvpn! Best thing about Express VPN would definitely be their customer service. Turn around rate is really fast. I’m living in China, and I think the server may have gone down once or twice, tops. Love the service! I had no idea about blocked websites until I tried accessing some information when in Vietnam. I also had no idea about Express VPN until a buddy showed me how I could still access those files privately without worrying about if my connection was secure. This product rocks! Have used this for almost half a year, and would have to say it’s really awesome. Seems that this is available in most restrictive areas as that’s where the servers are located. Will use again. Am pleased with the results, will use again. Very good for when traveling across countries. I use this to securely access files overseas. Can never be too sure, but Express VPN definitely helps to bring you a sense of security. I chose Express VPN because it seemed virtually risk free. The speed is great and so is the 7-day support. They definitely made me feel comfortable about using the service. A very painless experience for a person with little tech knowledge that is living abroad in Germany. Had no idea about blocked sites until I moved overseas to Europe. Most of the sites are available, however only during a certain period of time. Express VPN allows you to access the sites you love, but without having to be worrying about being cut off. Definitely a great product with a very fair rate! Express VPN is exactly what it advertises as. It is fast without the “Express” fee. Very reasonable price, and speed is good. Will definitely use this again when I finish my contract. Wasn’t a big fan of the user interface, but you don’t have to worry much about that since it’s not really the main feature you are looking for.